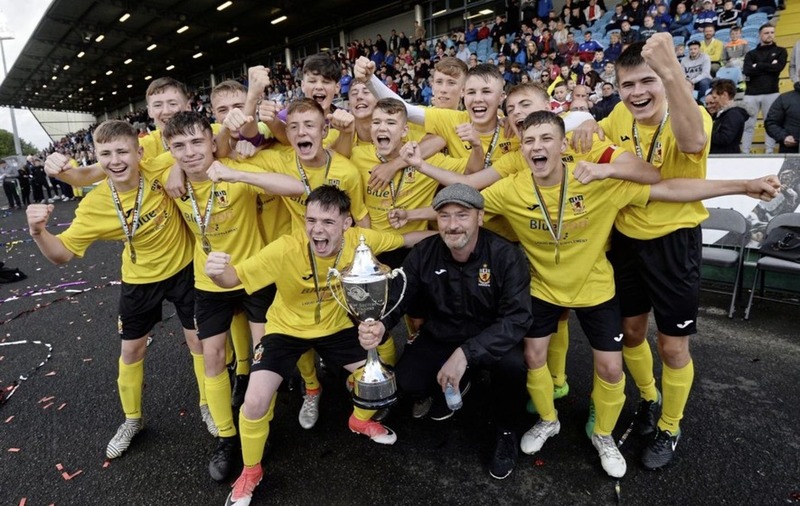 COUNTY Antrim became the first county side to win the junior section of the SuperCupNI when they brushed aside American side GPS Bayern at the Ballymena Showgrounds. Two years ago Andy Hunter's County Antrim side became the first local side to ever win the premier competition. Yesterday, Stefan Seaton's U15 side made it a sweet double for the county side, claiming a 2-0 win over American academy side Global Premier Soccer. This year's Antrim success is no fluke. They've reached either the premier or the junior final in four of the last five years. Seaton said: “We have been consistent in the last five years. We have been competing for the big one four out of those five years and before that, only one team had done that in 25 years or something like that. “The premiers and juniors have been competing at a really good level consistently. “We have a really good staff around the players, too. We have some very experienced people who know what it takes to get the most out of players and get them where they need to be. 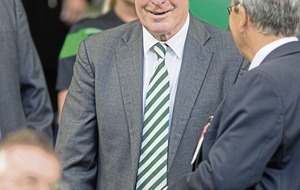 Reflecting on the comprehensive 2-0 win over GPS Bayern, Seaton said: “We dominated from start to finish. They were almost ruthless. You'd think they'd been playing together for 25 years or something. County Antrim had the better of the first half, playing some decent football, however, they were shut out by some stubborn American defending. Antrim's best chance of the half arrived in the 21st minute when Lee Rea curled a penalty box effort against the underside of the crossbar, with the GPS goalkeeper beaten. Antrim's Darren Hyland opened the scoring with a contender for goal of the tournament two minutes before the half-time break. The young left-back hit a stunning 25-yard effort that found the top corner of the net. David Faulkner almost made it 2-0 to Antrim a minute later when he burst into the box, only to see his low drive athletically saved by the alert Boston-based goalkeeper Alfonso De Vito. County Antrim scored the second goal of the game 14 minutes into the new half. Barry Crowe played a superb free-kick towards the back post, picking out an unmarked Gerard Storey. Substitute Storey guided a looping header over De Vito and into the far corner of the net. Storey's header was enough to seal the SuperCupNI Junior section for Seaton's Antrim side. 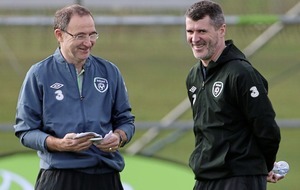 The boys, who are all connected with Irish League clubs, barely give the American side a sniff. The local side married some impressive passing football with a winning mentality that has made the County Antrim set-up so successful in recent years. THE African Academy won the premier section of the SuperCupNI thanks to two late goals from the sensational Mohammed Kudus, who lit up the Ballymena Showgrounds with a remarkable lobbed winner against Mexican side Club America. It's the third year in a row that Right To Dream have lifted one of the main trophies on finals night. Scottish coach Frazer Robertson said: “Nothing surprises me with these boys. Their strength of character and their determination to make it a high level is incredible. These boys want to better themselves, both as footballers and in life. Right To Dream have dominated the SuperCupNI in recent years. The Ghanaians first entered the tournament in 2015, winning the junior section with a sensational 7-0 win over Southampton. A year later, they returned to successfully defend the junior trophy, defeating County Londonderry 3-0 in the final. The Ghanians also have a link with Danish side Nordsjaelland. This year's Right To Dream SuperCup squad included four Danish players. Right To Dream had the better of the first half, but they were unable to turn their pressure into clear-cut chances. Club America took the lead with 14 minutes left on the clock when Santiago Rios swung a superb free-kick into the top corner from an acute angle, in a strike reminiscent of Ronaldinho's famous goal against England in the 2002 World Cup. Right To Dream dusted themselves down and scored an equaliser three minutes later. Mohammed Kudus powered home a header from around 10 yards to level the game. Kudus won the cup for Right To Dream with his second goal of the game with just three minutes left on the clock. The captain used his pace to burst through the Club America defence before producing a sublime lob that gave goalkeeper Eduardo Arreola no chance.